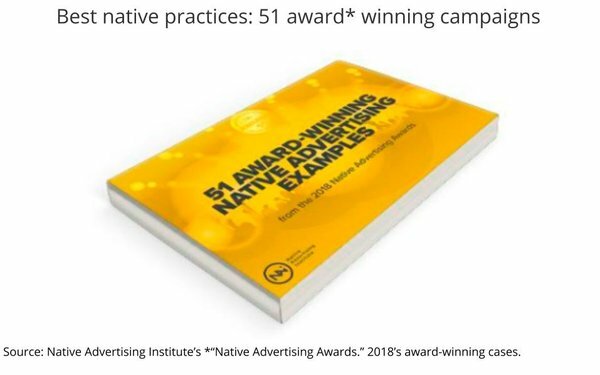 The Native Advertising Institute has just released a new ebook, 51 Award-winning Native Advertising Examples - from the 2018 Native Advertising Awards. The ebook features the winners of the 2018 Native Advertising awards and the lessons we can take away from them. Among them: Sometimes breaking down the division between newsroom and advertising can actually be beneficial.